Women’s basketball players still outperform their male counterparts, but there is still room for improvement, according to a new report. As has always been the case, the women continue to outpace the men academically. The overall Academic Progress Rate (APR) for the men is 973 and 986 for the women, but the 986 is less than last year’s 987. 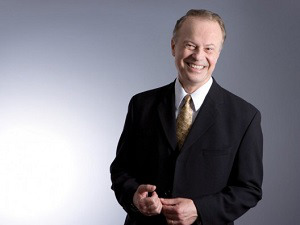 Dr. Richard Lapchick, director of TIDES and author of the study said this is probably an anomaly. Fifteen women’s teams scored a perfect APR score of 1,000 and 29 women’s teams had a 100 percent graduation rate. The average Graduation Success Rate (GSR) for African-American D-I men’s basketball student-athletes is 79 percent. 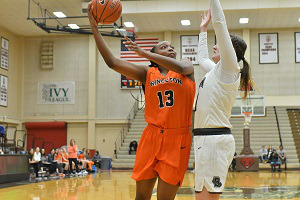 The GSR for African-American D-I women’s basketball student-athletes is 88 percent, which is down from 91 percent in 2018. Lapchick said this is likely due to the teams that made it into the tournament. The statistics come from the 64 teams in the tournament, not all of Division I. “The women have always had stronger academic results since we’ve been doing the study and I think it is partially due to the fact that there are so few opportunities for women to play professional basketball,” said Lapchick. “They know they need to focus on getting that academic preparation for a life after sport. Twenty-one percent of men’s teams and eight percent of women’s teams had a gap of 30 percent or higher between the graduation rates for African-American and White basketball student-athletes. Just as the men have, there is also a gap between African-American women’s players and White players. Eighty-eight percent of African-American D-I women’s basketball student-athletes graduate versus 96 percent of White student-athletes. Ninety-five percent of the women’s teams graduated at least 70 percent of their players compared to 75 percent of the men’s teams. Despite their successes, Lapchick said women can still do better. There is one historically Black college and university in the women’s tournament and one in the men’s tournament. Both are in the lower range in terms of the GSR. Lapchick said the NCAA can bring about positive change.